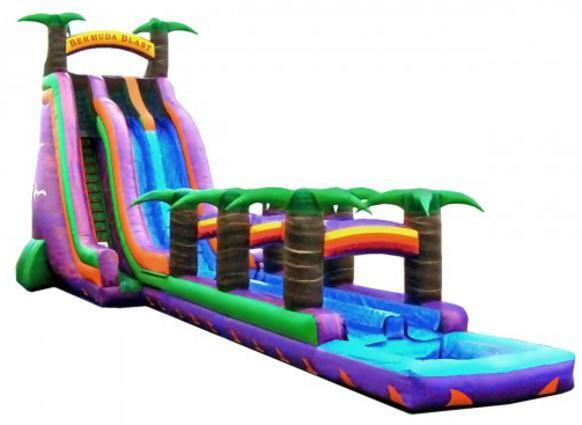 Our 27ft Bermuda Blast 2 Lane Water Slide features a sudden cascading drop with a hump at the beginning of the slide. At the bottom, riders continue down 26' of additional sliding fun before landing in the pool. This fast paced thrill ride is sure to get everyone's heart pounding! It's perfect for schools, churches, summer camps and more. Fun for all ages!